[dropcap]D[/dropcap]uring the week our meals are for the most part healthy. We have a good rotation of meatless meals, healthy salads with homemade dressings and some carb-free menu items. As you can tell by reading ANY post of mine, there is usually always an abundance of vegetables in our dishes. 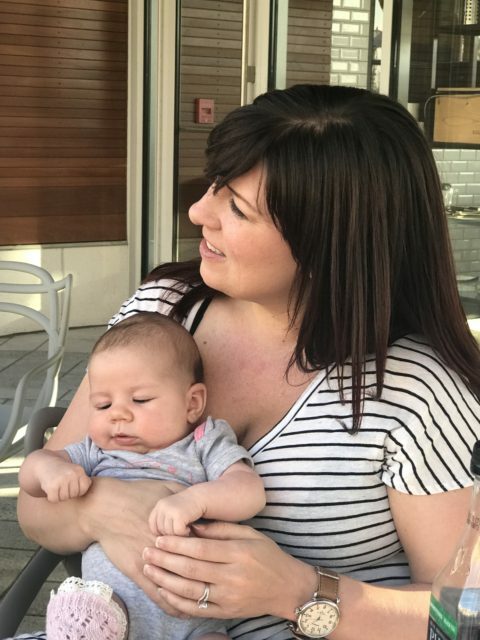 We both love Chipolte. It is a good go to when we are in a hurry. However, the closest one is twenty minutes away so if we aren’t out and about, running there JUST for dinner doesn’t make much sense. So we decided to make something similar at home but using quinoa instead of rice. Quinoa became trendy a few years ago. I feel like all of a sudden EVERYTHING had quinoa and kale in it. But quinoa has been around forever. It was supposedly the chosen food for the ancient Inca tribes because they thought it helped increase stamina. Knowing what we do now about quinoa, it probably did. While this grain technically is a carb, it is PACKED with protein. One cup of the grain provides the same amount of protein as an ounce of meat which is more protein than any other grain. My sister personally hated it but changed her mind quickly when my husband made it for her. 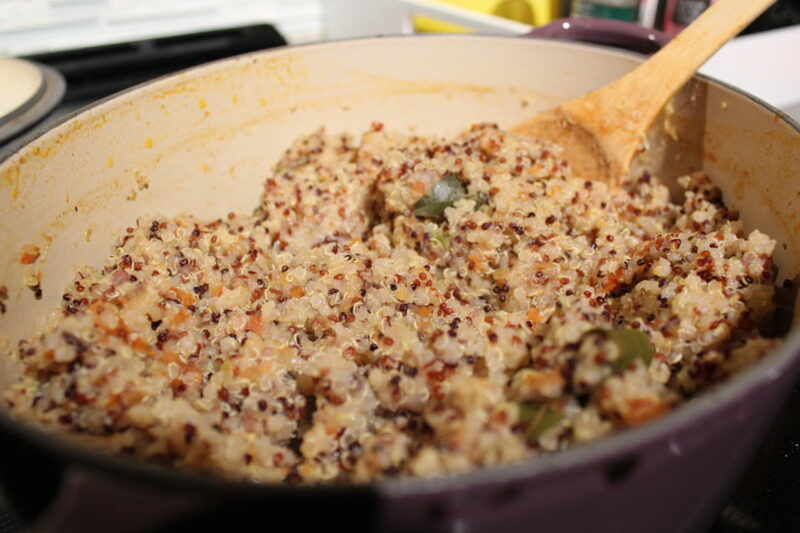 Quinoa is not hard to make, but if you don’t season it it sometimes doesn’t taste the best. Some people rinse their quinoa before they make it. This is supposed to help remove some of the bitterness the grain can have. We personally never cook our quinoa (or any grain for that matter) in water. I always use broth to help enhance the flavor. I read a good recipe for making Mexican rice which you actually bake in the oven so for these bowls I tried something similar with the quinoa. 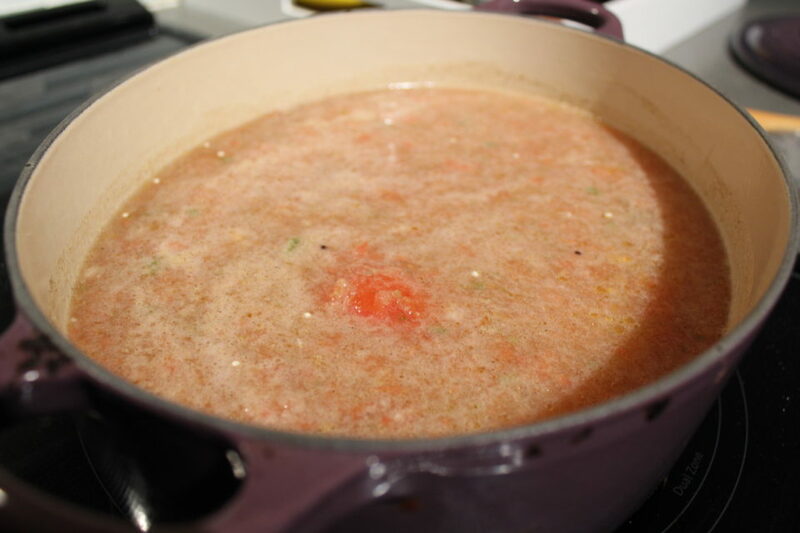 The night before, I blended tomatoes, onions, garlic and jalapenos until everything was rough chopped. The next day all I had to do is add broth and put the quinoa in the oven. So easy! This meal on paper looks complex but I did most of the work the night before. To help enhance the flavor of the chicken (and save time) I seasoned it the night before simply with a taco seasoning I made, lime juice and a tiny bit of olive oil. I cut and seasoned the veggies the night before too. 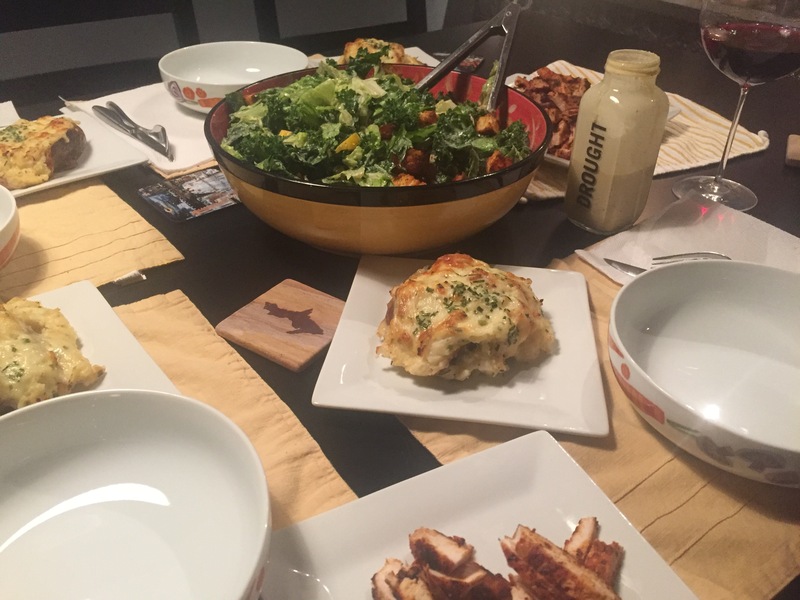 The next day when we actually made our dinner, all we had to do was put the quinoa in the oven and grill the chicken and veggies. So don’t let the recipe below fool you, it looks like a lot but with 15 minutes of prep time the night before your meal comes together quickly the day you make it. 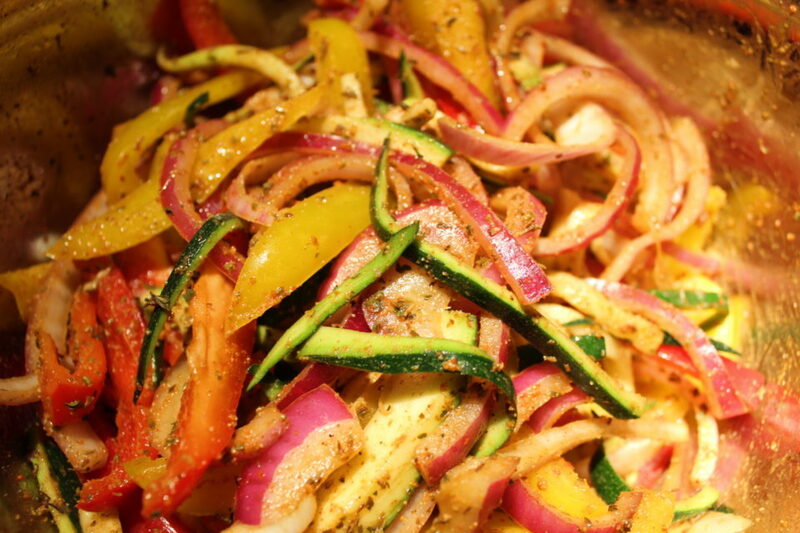 We use fajita style veggies in a ton of different dishes. My favorite combination is not only that of bell peppers and onions, but I like to add zucchini to my mixture for a little extra. 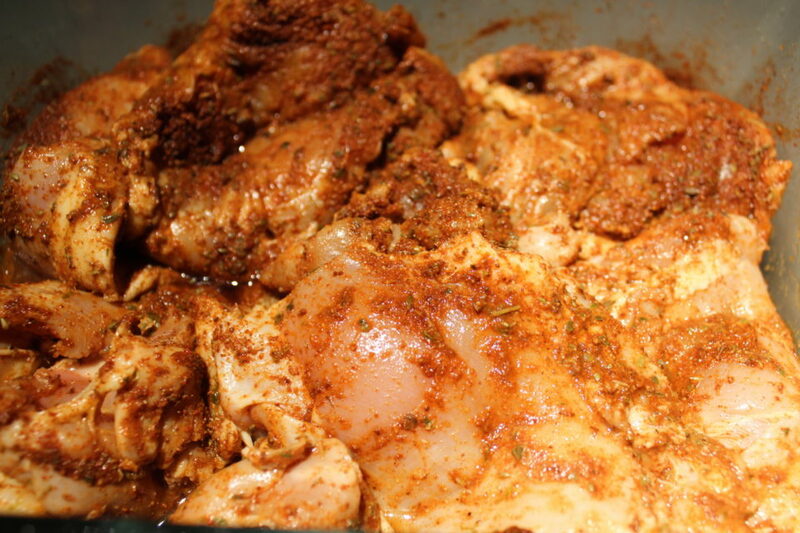 I like to keep the seasoning simple by using chili powder, cumin, a little hot sauce and fresh lime juice. You can either grill the veggies when you grill your chicken or do it on the stove top (a cast iron skillet works great). Using a new element to a classic recipe, like quinoa in this instance can change things up. Prepping your meal the night before not only saves time but helps enhance the flavors of your dish. 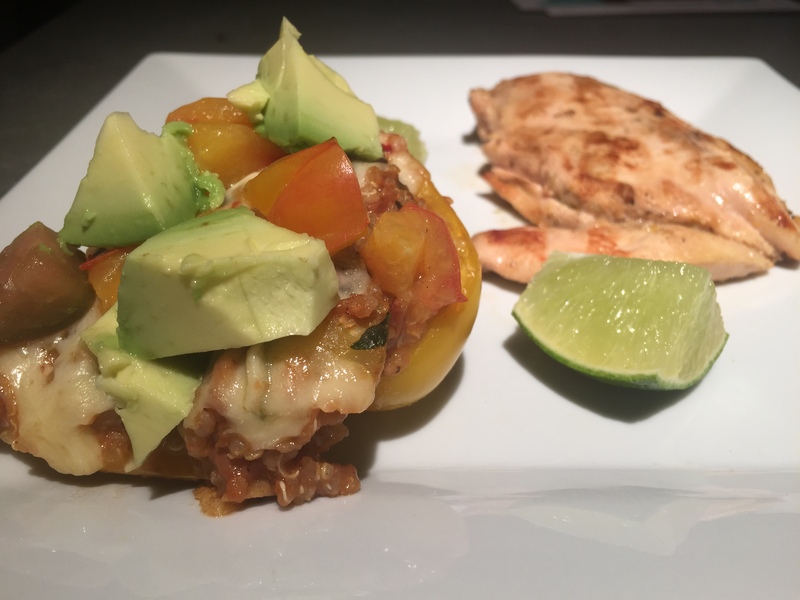 Once you make this I promise quinoa will be a new staple in your carb rotation! The night before (or the morning you plan to make it) in a shallow dish with a lid combine all ingredients plus salt and pepper to taste. If you are using a pre-mixed taco seasoning check the salt on the packet, you might not need to add any additional. Cover and refrigerate over night. You can also prep this overnight if you like. In a large mixing bowl combine all ingredients. I like to toss my veggies with tongs so they all get coated with the oil and seasoning. You can make these right before you cook or the night before. Grill 7-8 minutes over medium heat. If your grill is not big enough for the chicken and veggies grill your veggies first, then turn up the heat for your chicken and set veggies aside. In a food processor or blender combine onion, tomatoes, garlic and jalapenos together. You can blend until smooth or leave a semi-rough texture like a salsa. This can also be done the night before, if so cover and refrigerate. In an oven proof dish on the stove, add the vegetable mix and all the other ingredients for the quinoa. Season with salt and pepper. Bring to a boil. Cover with a lid and place in the oven for 20 minutes. Remove from the oven, fluff and stir and let sit uncovered for 5 minutes. 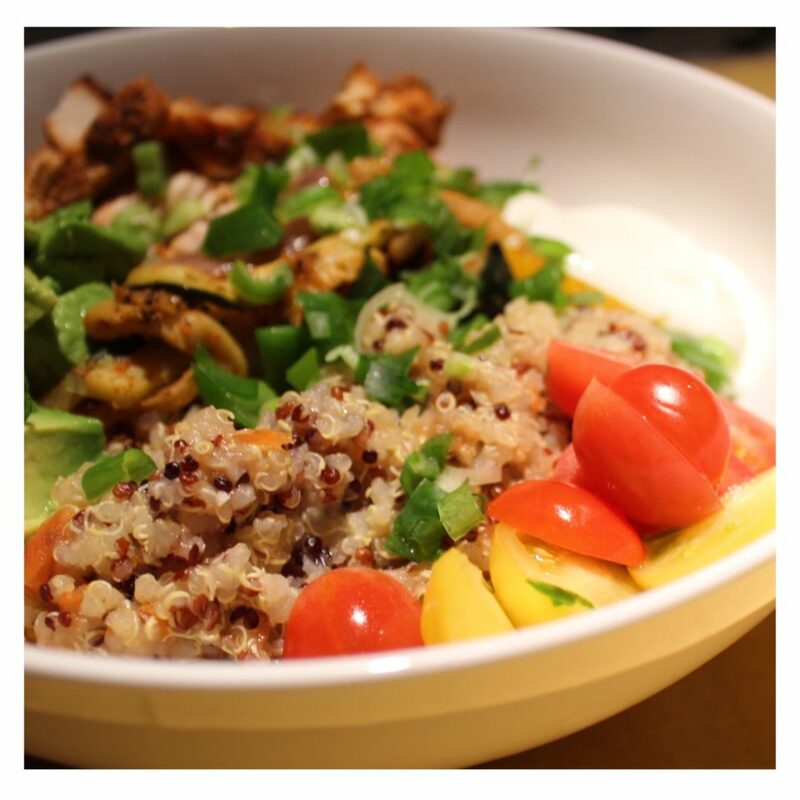 To serve the bowls top a scoop of quinoa with the chicken sliced in thin strips with a serving of vegetables. Top with any other additional toppings of your choice.